Returning to Music Monday after a few weeks off with a review of the new Killswitch Engage album. For almost 9 years now, I have called this Boston-based Metalcore band my favorite. I’ve heard many other bands of the same genre, but this group takes top place. My first experience with them was their just released album “The End Of Heartache” and their newly appointed lead singer Howard Jones [no, not THAT Howard Jones], replacing original lead singer Jesse Leach, who performed vocal duties on the first two Killswitch albums, but had a falling out of sorts. As it turns out, Howard Jones had a powerful voice that worked very well, both on record and live in concert. 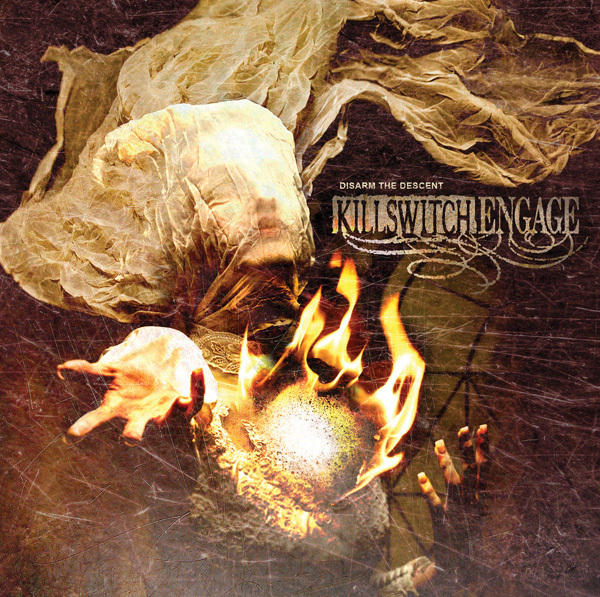 Killswitch was at the height of their popularity, playing to sold out shows and charting singles and albums. The band put out three very strong albums. They toured the world. Built a massive fan base. But early last year, it was announced that Howard had left the band due to health issues. And just like the Dave/Sammy/Dave history of Van Halen, Jesse Leach returned as lead vocalist. Which brings us to now, with a brand new album. How does this Howard Jones fan like it? I like it a lot. I admit to being hesitant and really clinging to the dark, deep vocals that I had come to love and listen to. But I have to say that 10 plays in, this album really started to take hold. Tracks like “All That We Have,” “The Call” and “You Don’t Bleed For Me” are some of the strongest Killswitch songs that stand out as ones that Howard could have easily sang on. But he doesn’t. And that’s ok. Even the lead single “All In Due Time”, Jesse’s vocals stand out great against the guitars of Adam Dutkiewicz and Joel Stroetzel, two original members that haven’t lost a thing musically. Of note is my favorite track “The New Awakening” which has the standard metalcore rhythm during the last minute of the song that hooked me on this band’s great execution of sound. I thought you would do a double take, which is why I explained it. I have to in conversations with others about Killswitch.